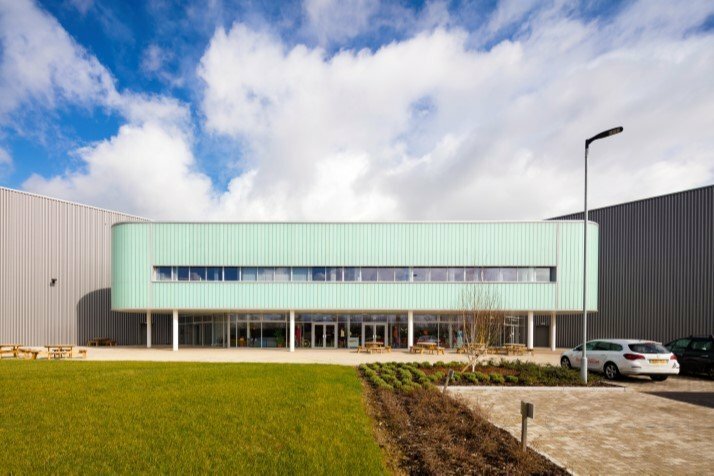 Innovative air cooling technology helps office furniture giant, Herman Miller to set the climate at its manufacturing facility in Wiltshire. Heating, ventilation and cooling play a crucial role in the working environment for most buildings and especially within a manufacturing facility. 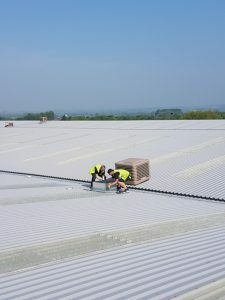 Corsham-based energy reduction specialist SMARTech Heating & Cooling, were brought on board to design an energy efficient cooling system at the 170,000 square foot site, known as PortalMill, with the aim to not only improve the working environment for its staff, but to deliver energy savings to the company. With considerable experience of designing and installing energy efficient cooling solutions, SMARTech Heating & Cooling specified nine Evaporative Cooling Systems for the manufacturing space – enabling control of the air temperature and humidity levels in the assembly and manufacturing machine areas; acting as a recirculation system for winter and a ventilator or evaporative cooling system for the summer. 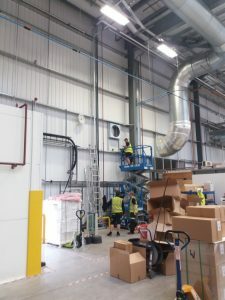 SMARTech Heating & Cooling’s team took five weeks to finalise the project – which included laying more than seven miles of cable throughout the facility. MD of SMARTech Heating & Cooling, Stuart Pearce said “Evaporative cooling is a completely natural way of producing refreshing cool air and only runs at 10% of the running cost of air conditioning. The costs to cool and maintain a system over this area is expected to run at £3.15 per hour for supply and extraction”. Martin Waller Head of Engineering & Quality – EMEA at Herman Miller commented “The major benefit of this new ventilation is the improvement in the working environment for the operations team due to the zonal control of ventilation and cooling. In addition, there will be a reduction in electricity consumption”.